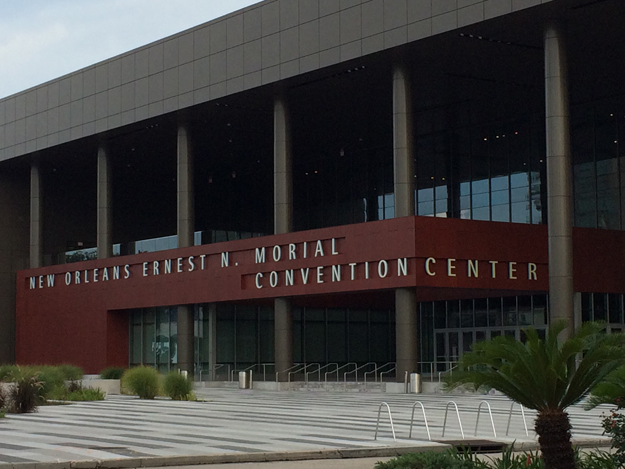 NEW ORLEANS (AP) — The Orleans Parish tax assessor says he’s told convention center officials that a $558 million hotel they’re proposing probably would not be exempt from property taxes — something some center board members say is essential. Assessor Erroll Williams tells The New Orleans Advocate that he informed officials of the Ernest N. Morial Convention Center at a meeting in February that he doesn’t see how the planned 1,200-room Omni hotel would qualify for the 40-year exemption valued at $2 million a year. “I find it hard to believe that they don’t want to pay their fair share of taxes,” he added. Convention center president and general manager Michael Sawaya declined to comment. Political consultant and convention center board member Ryan Berni had said at a Jan. 23 board meeting that he doesn’t see how the board could can go forward with the project without the exemption. “That’s such a big part of the financing scheme they’ve proposed,” he said. Williams, who also had said last year that he doubted the hotel would qualify, said he met Feb. 15 with Sawaya, board chairman Melvin Rodrigue and an attorney for the center, so they could explain the proposal. Local hotel owner Joe Jaeger Jr., who would play a role in developing the hotel but was not at the meeting, said he would not question whatever Williams decides. “He’s logical, he’s open-minded, and he’s fair, even if we didn’t get our way,” Jaeger said, adding that he believes Williams might come to another conclusion once he has more information. As parish assessor, Williams decides exemptions, though a property owner can try to get him overruled in court. Convention center officials say the development would qualify because the hotel would be owned by a nonprofit called Provident Resources Group. The hotel would be at the upriver end of the convention center on land it owns. That end is often vacant. A consultant’s study said the hotel would add 40 events a year and increase the city’s hotel capacity for major conventions and big events like the Super Bowl. A month earlier, the nonpartisan Bureau of Governmental Research had estimated those subsidies at $330 million. “The proposed deal would involve, by far, the largest contribution to a real estate project involving a private developer in recent memory in New Orleans,” BGR said in a 16-page report released in July. The convention center contends that the subsidies would add up to $171 million.